A wall plug comes with a variety of names. Socket switch, smart switch, dimmer switch, wall plug. 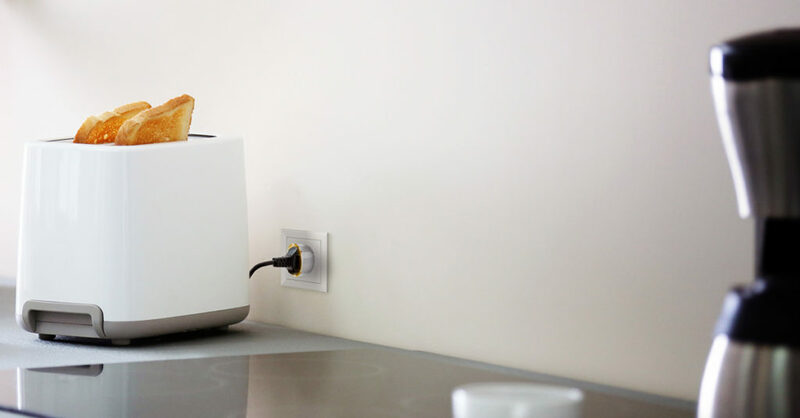 Nearly every manufacturer of smart home devices has at least one model in their product-line. As with a lot of smart home products, choosing the right fit for you might be a little difficult. We asked Niels, the guy behind domotica-blog.nl, if he wanted to compare a few brands. What is a wall plug? A wall plug is a switch you can – for example – place between your socket and a standing lamp. This way you can remote control it with your Homey, and make devices that do not necessarily support wireless technologies a bit smarter. Currently a lot of wall plugs also have power measurement onboard. You can use this to easily measure what a device consumes. This opens up a few possibilities. For instance, measure the power your washing machine consumes, and when it’s done. You can even make a Homey Flow that will send a push notification to your phone once the washing machine is done. That way you’ll never forget to hang your laundry. Personally I also use a wall plug with my computer. This way I can easily check if it’s turned on, so that I don’t switch of the electricity for one reason or another. Aside from that, I can make sure my monitor and speakers are only turned on when my computer is. Because of this there are never any devices unnecessarily on standby. So by using your wall plugs cleverly, they can help you save money. Subsequently you can also get an insight into your total energy consumption. Some wall plugs even have a LED that lights up in different colours to show you how much energy devices have been using. Of course, there are many more different wall plugs. Including (cheaper) 433MHz by KlikAanKlikUit, for instance. In this comparison, we are focusing on the most popular ones running on Z-Wave, to make the comparison as direct as possible. Judging by the table there aren’t that many big differences between the plugs. The Aeon Labs and Fibaro plug both have a max. power of 3.000W. Generally speaking 2.000W should suffice for a wall plug. However, if you’re thinking about connecting your washing machine to a plug, I recommend taking a 3.000W plug. 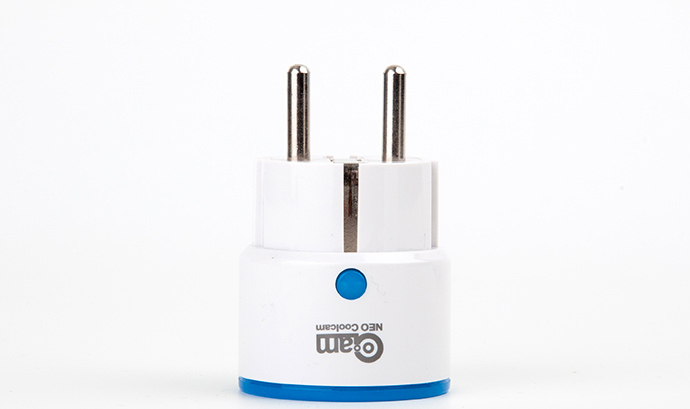 In the narrative of these two plugs, we might as well head over to the fact that these are the two plugs that have a LED ring. These LED rings can show you how much power your device(s) are using. Or simply function as a night light! The Aeon Labs plug also allows you to set the LED ring colour according to rules you come up with. For instance, ‘turn red if my devices use more than x amount of energy‘. The NODon plug has the least electric power at 1.500W. If you get one of these, carefully consider the devices you’re connecting with it. Moreover, all plugs have built-in security to prevent overload. In the case of electrical overload, the plugs will usually give a signal to your controller and turn off the power. All of the wall plugs give insight in current and total energy usage. The Aeon Labs and NEO Coolcam plugs can also show the power consumption (A) and voltage in the Homey interface. In the realm of settings and options, Fibaro is the clear winner. You can change the settings of the button on top of the plug, and you can make the LED ring do whatever you like. Shine bright in all colours of the rainbow, show energy usage, don’t show energy usage. It’s all adjustable. One rather important factor, in my opinion, is the price. At first glance you might think that it’s not that big of a difference: €59,95 for an Aeon Labs plug versus the €64,95 for a Fibaro wall plug. That’s just €5,-. However, keep in mind that when you’re automating your home, you’ll notice how many of these plugs you need. Before you know it you’re at 10-15 plugs. The NEO Coolcam is clearly the cheapest option at just €40,-, whereas Fibaro the most expensive at €64,95. In the context of automating your entire home, this can be a difference of €250(!). I’ve been using all of these plugs for a while now. Bluntly said, all they have to do is making sure a certain devices gets its power supplied or doesn’t get its power supplied. And I must say: they all do what they should do. In my experience, the Aeon Labs plug is the least reliable in terms of range. The distance between my Fibaro socket and Homey never caused me any troubles. This plug also allows me to see if it is connected directly to Homey or via another node. I do not want to discredit Aeon Labs (even) more, but because of the C-type ‘flat’ plug, it starts to fit loosely in the socket after a few times plugging and unplugging. I’ve heard more users are experiencing the same issue. Sometimes, the NEO Coolcam plug is sort of ‘stuck’ in the socket and it starts buzzing from time to time. An issue that is unique to the NEO Coolcam, as I’ve never heard any noise coming from the other power plugs. It’s hard for me to pick a clear winner. 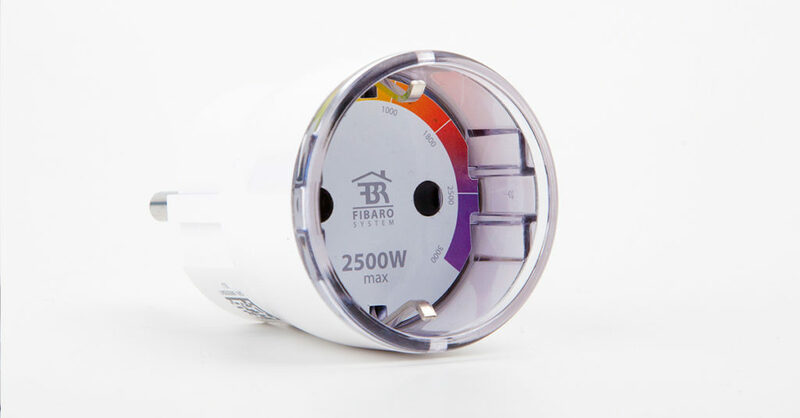 If you look at sheer functionality, size and power, Fibaro is uncontested. But they’re expensive. So if you factor in the cost of the plugs, I would say that NEO Coolcam is a close contestant. More specifically: if you don’t necessarily need all the tweakable settings of the Fibaro plug, NEO Coolcam is a great choice. This article is written by Niels. Niels runs www.domotica-blog.nl. For five years, it’s been one of the best read domotics blogs in the Netherlands.